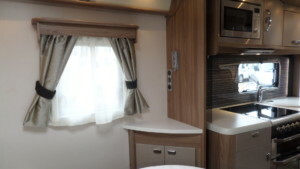 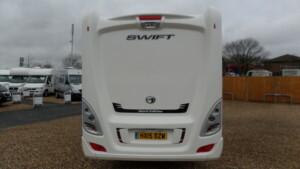 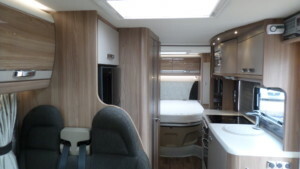 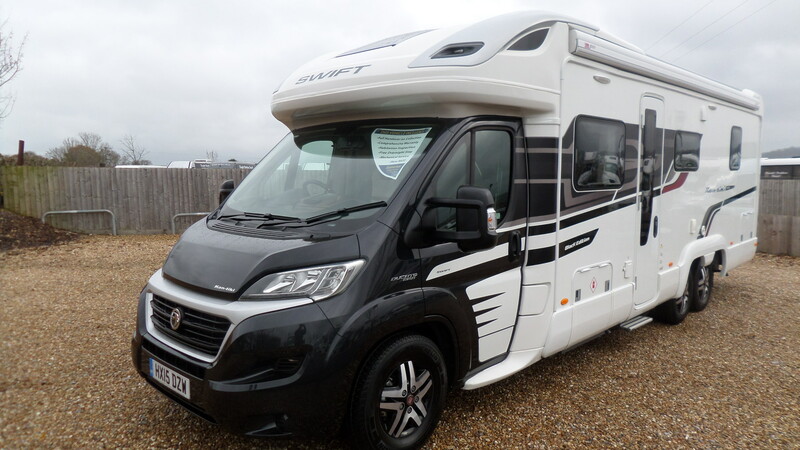 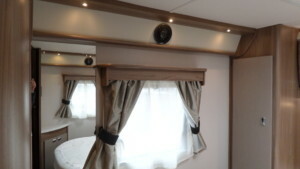 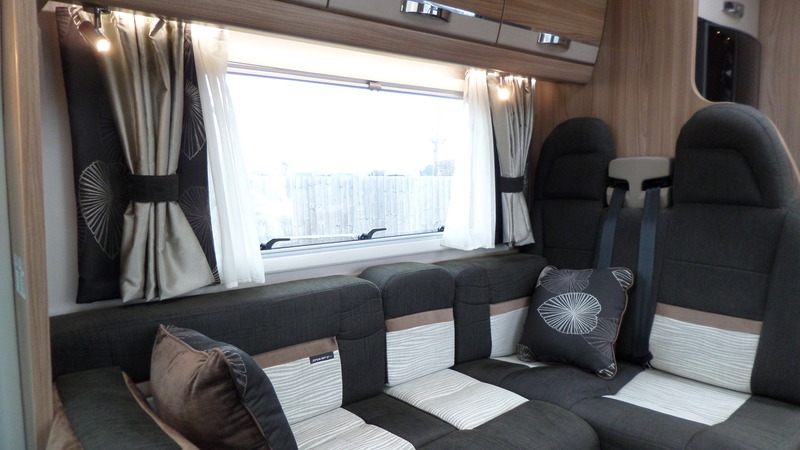 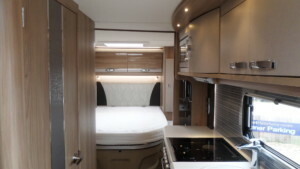 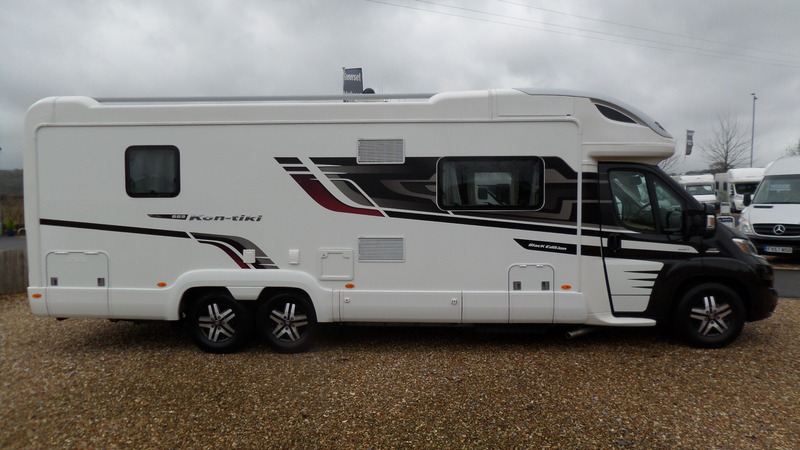 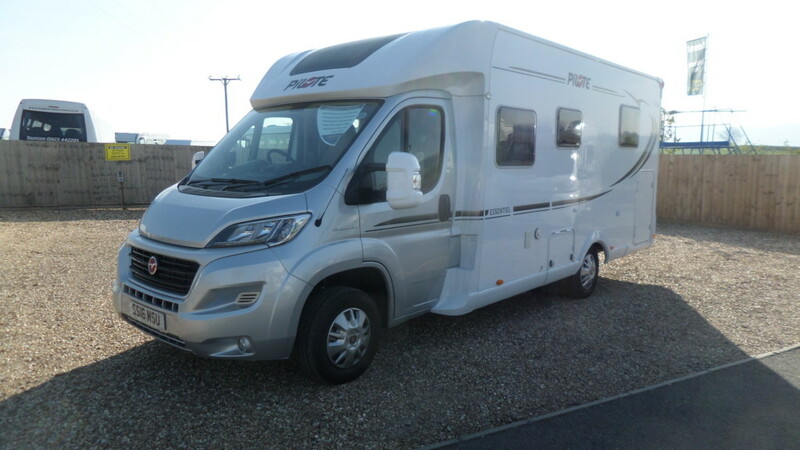 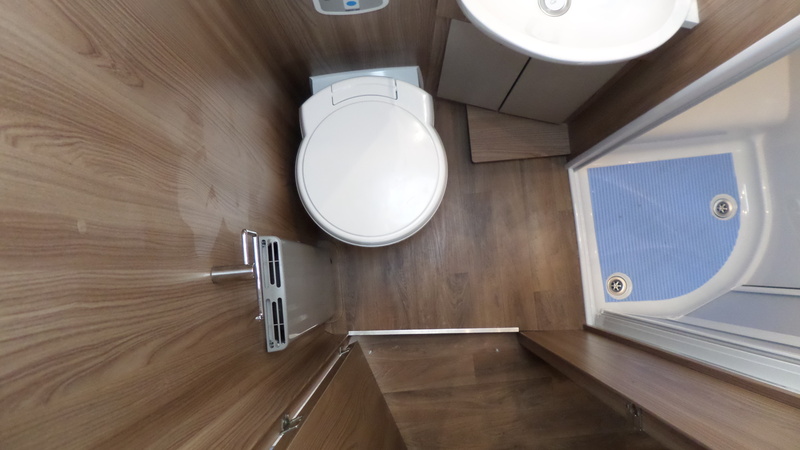 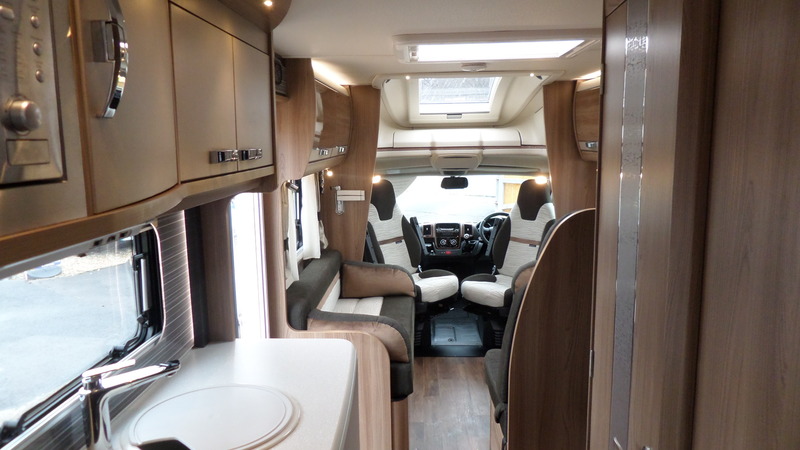 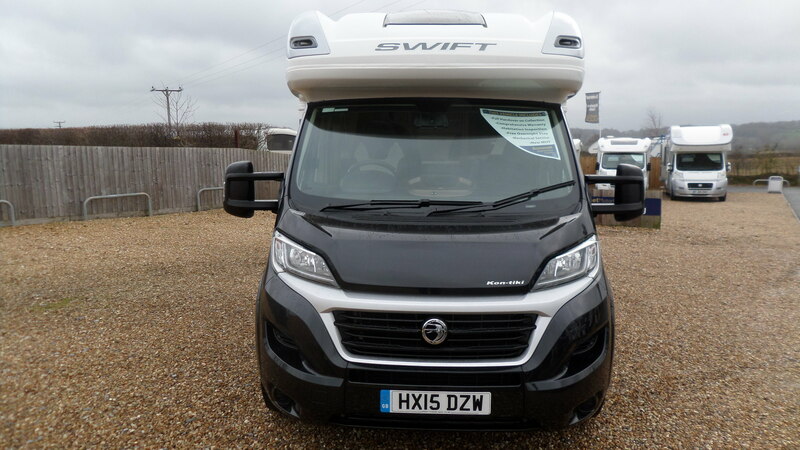 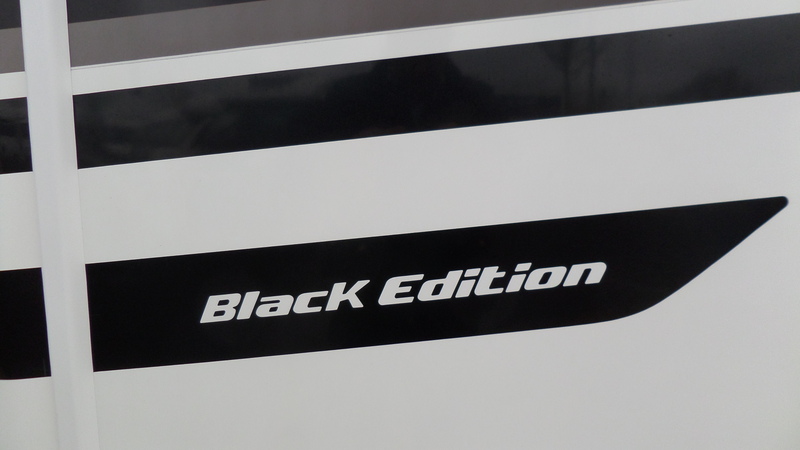 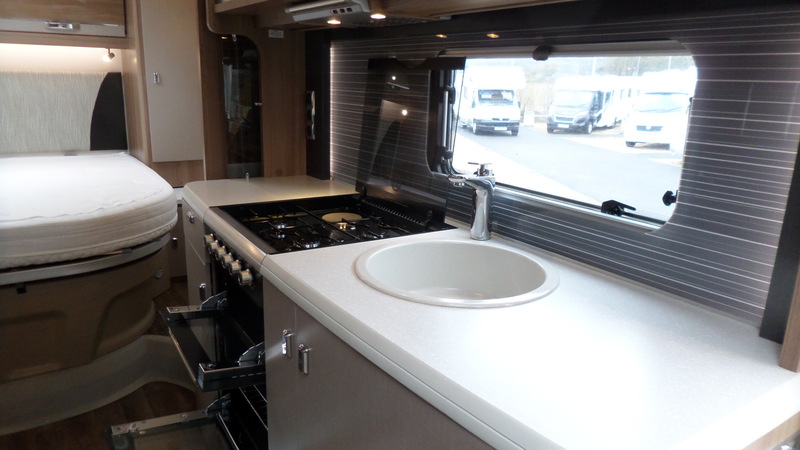 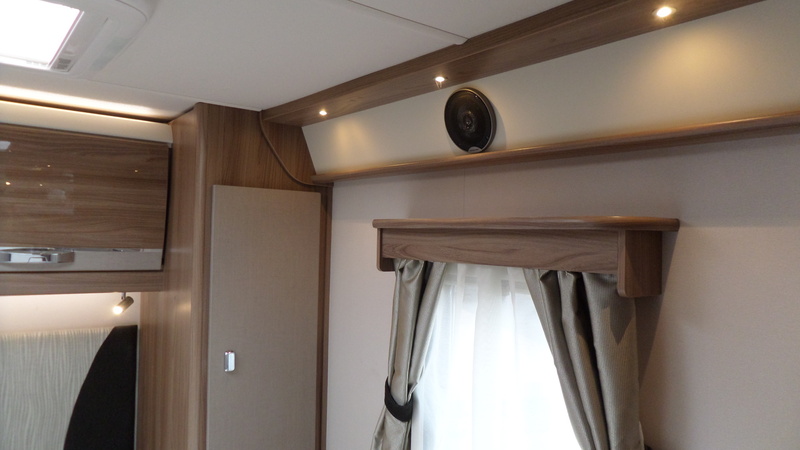 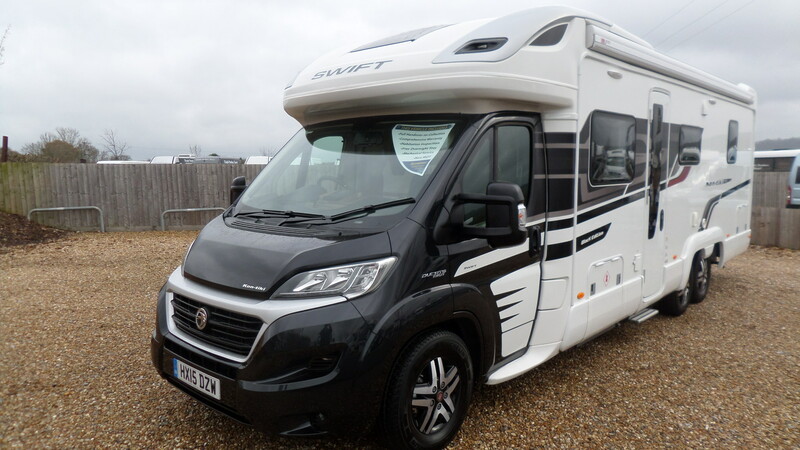 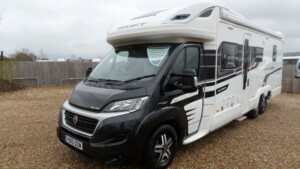 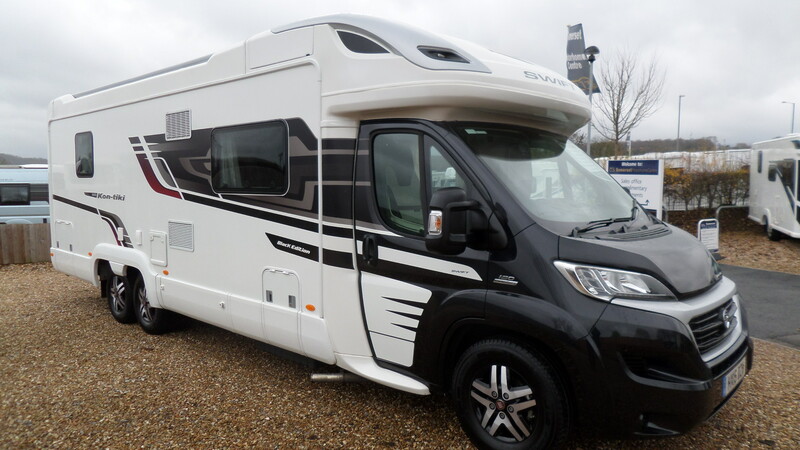 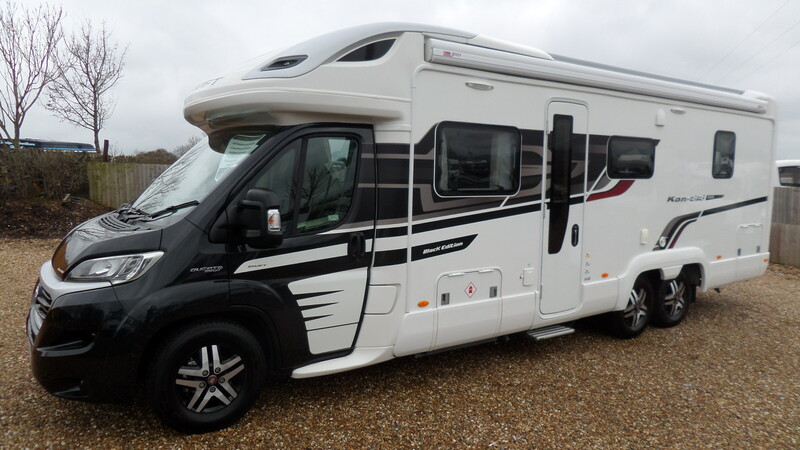 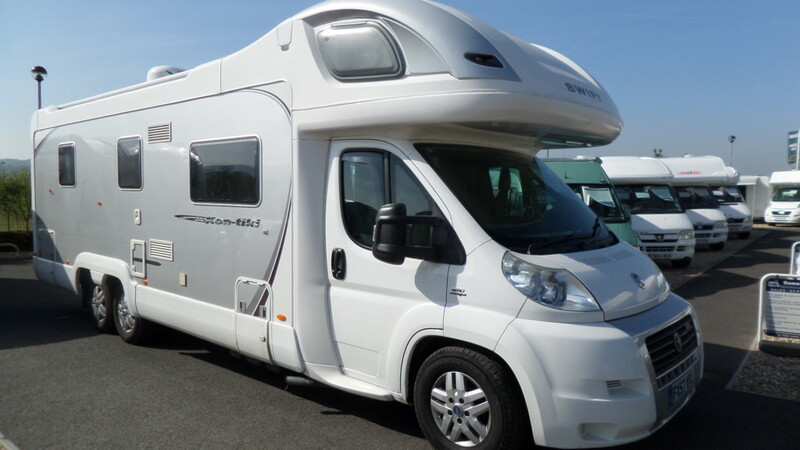 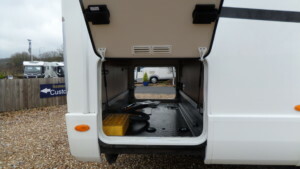 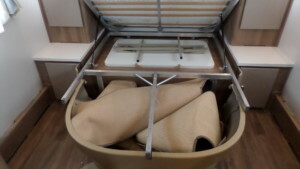 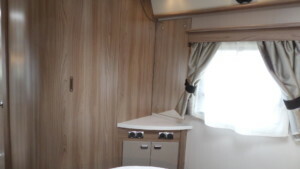 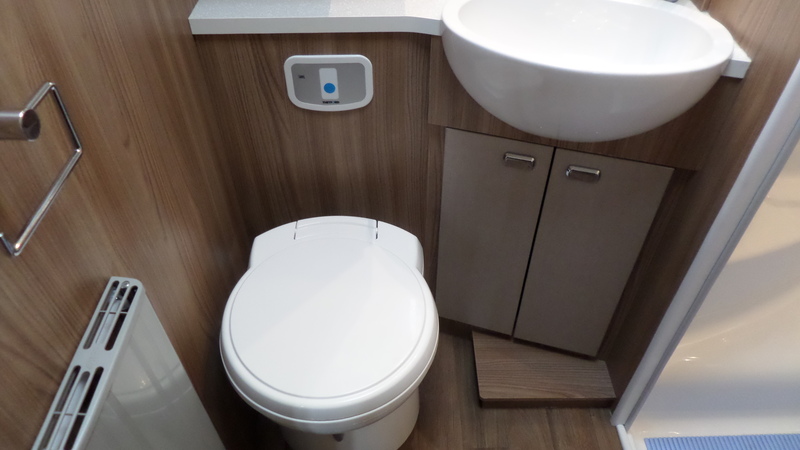 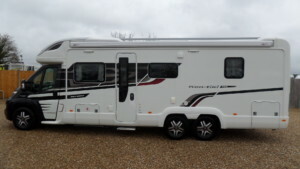 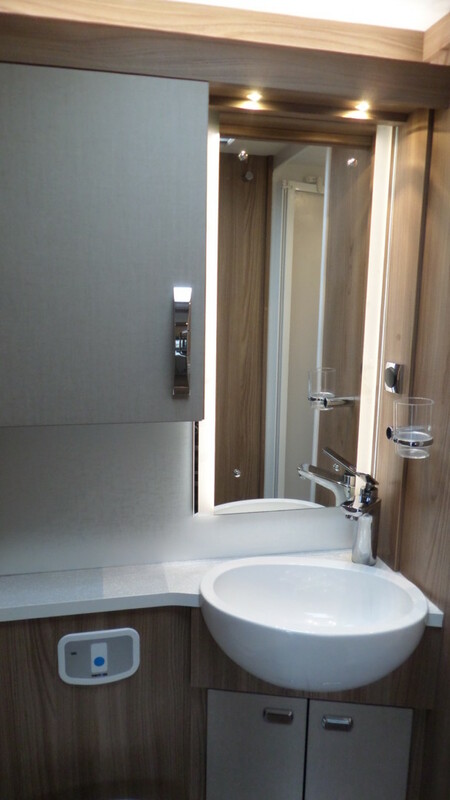 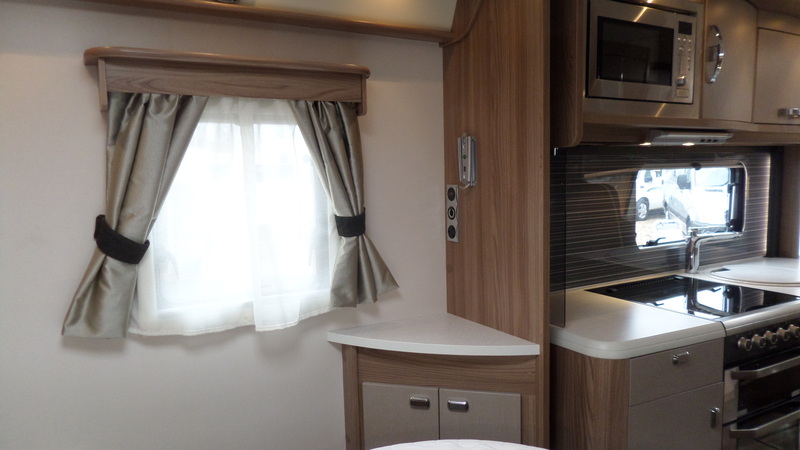 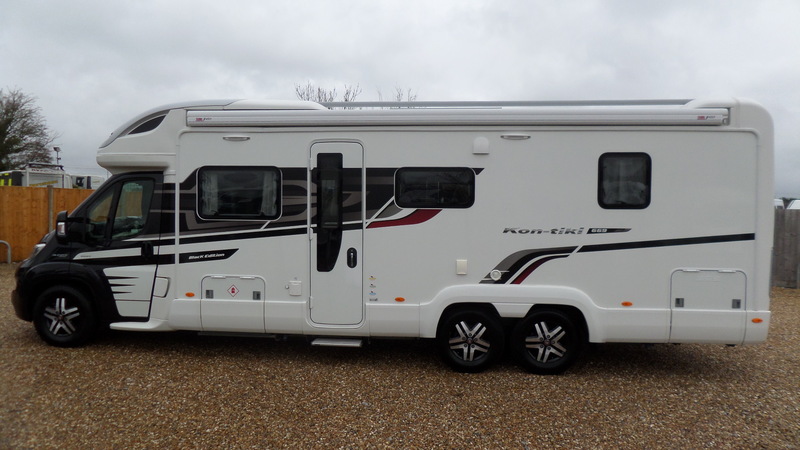 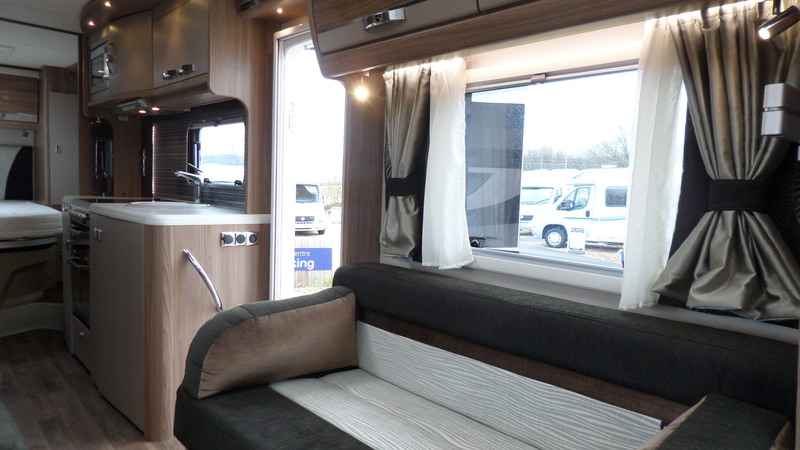 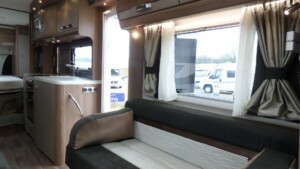 A lovely top of the range 4 berth model from Swift with a specification level to match. 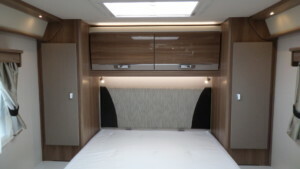 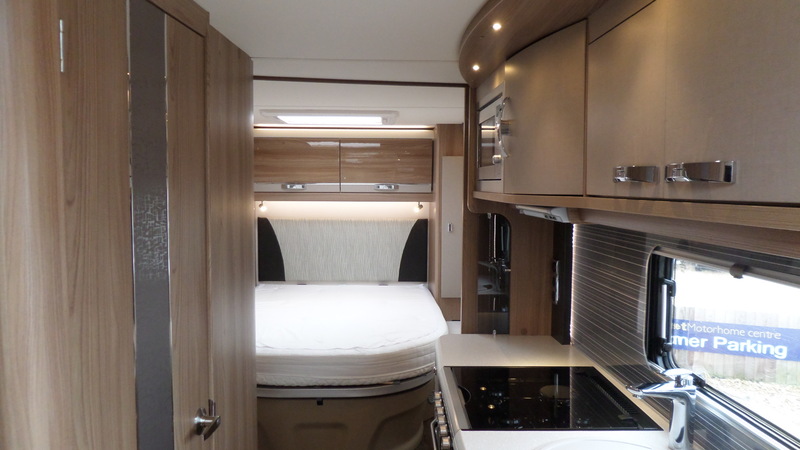 Featuring the ever popular rear fixed island bed layout with “his & hers” wardrobes and plenty of storage space beneath the bed. 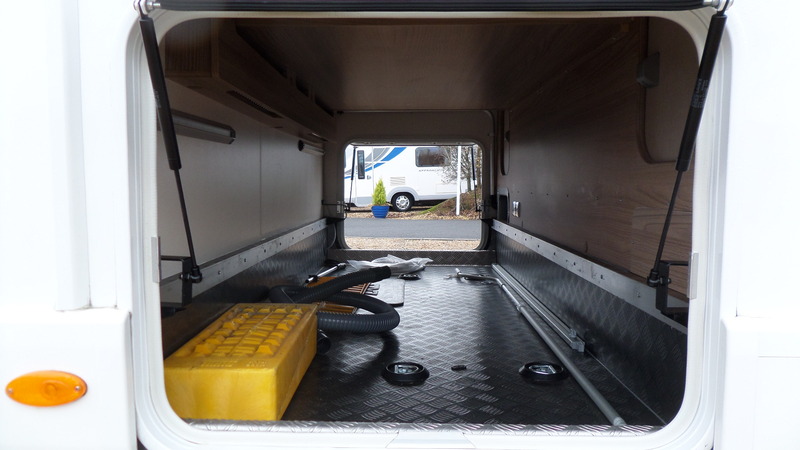 A “garage” area is also accessible from the outside of the vehicle on both sides, ideal for all of those essential items. 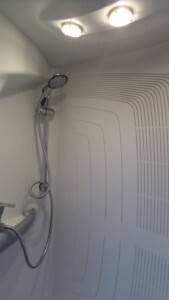 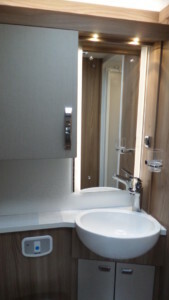 The mid washroom is spacious, light and modern with a toilet, vanity sink and separate “walk-in” shower. 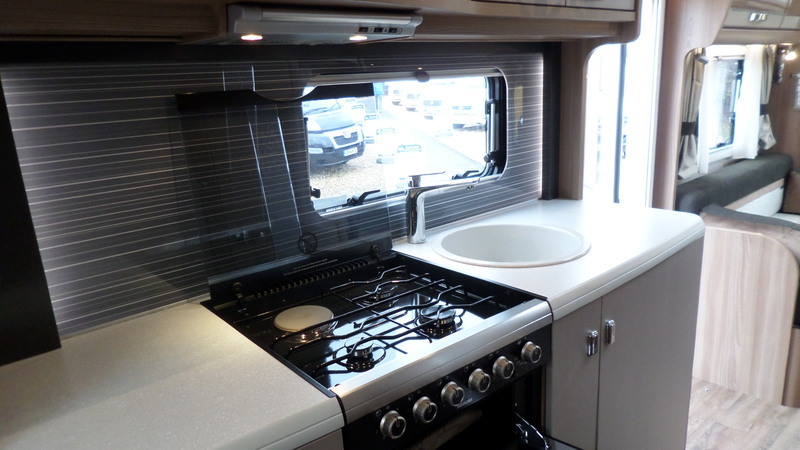 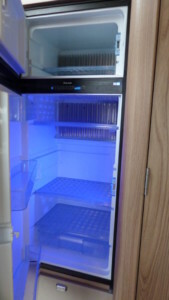 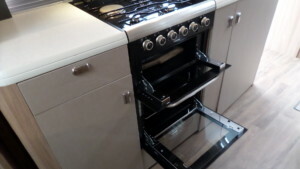 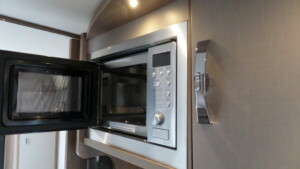 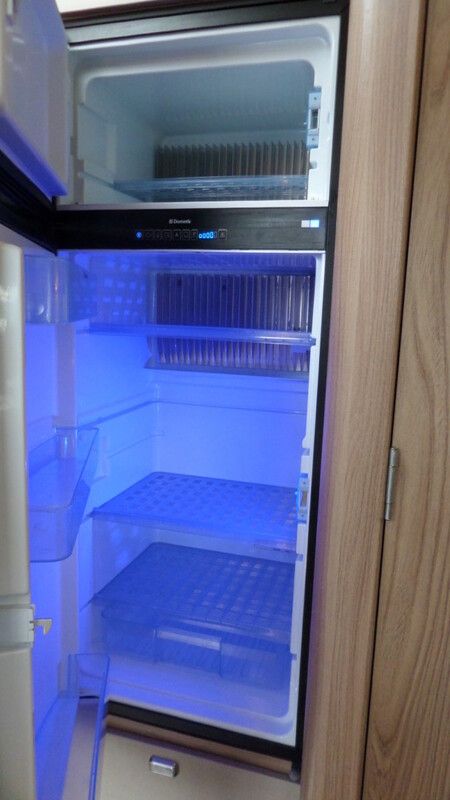 Opposite, the kitchen is practical and has all you need for your food preperation needs including full sized oven, grill, 3 gas burner hob, 1 electric hot plate, large fridge freezer and even a built-in microwave oven. 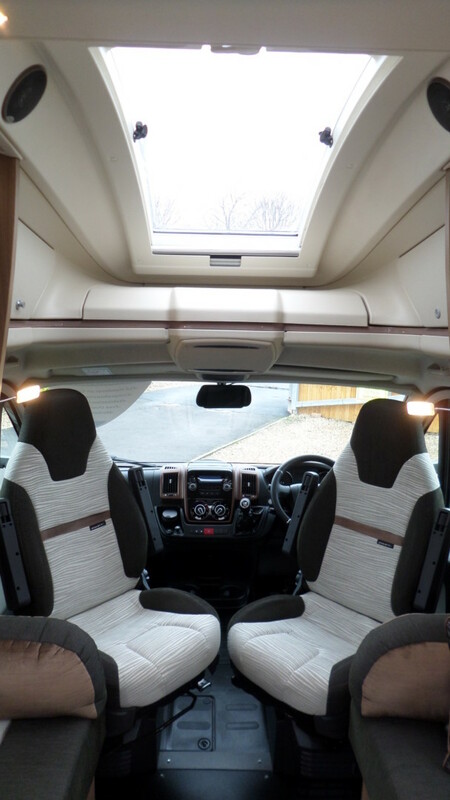 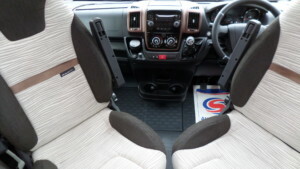 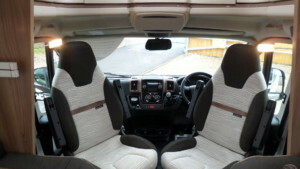 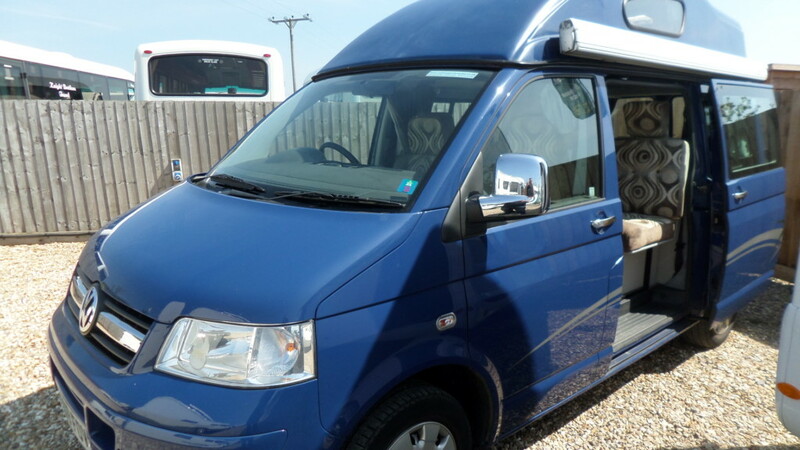 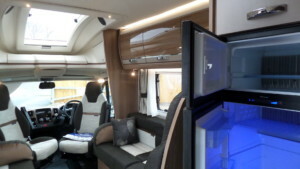 The front of the vehicle lends itself to a large lounge area consisting of 2 forward facing belted seats and 1 long side facing bench seat, ideal for relaxing during the day with a good book or watching the tv. Should the children or grandchildren wish to join you on your trip away it’s not a problem with the lounge seating area converting into a large double bed during the evenings, completing the sleeping arrangements. 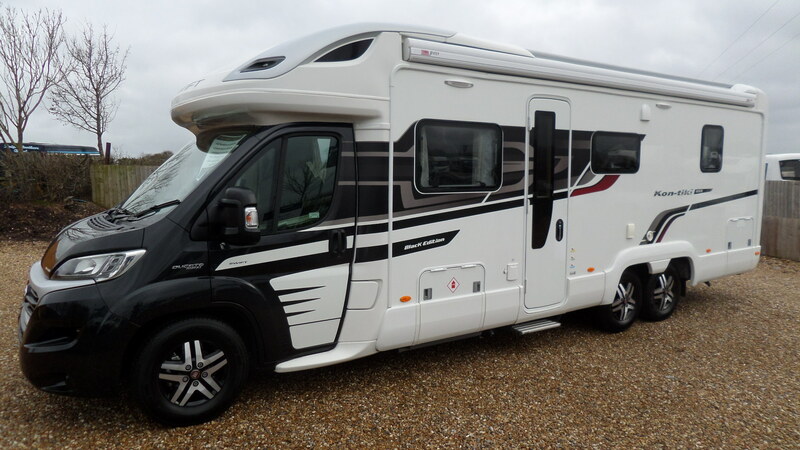 Ideal for those adventures throughout this country or even across Europe. 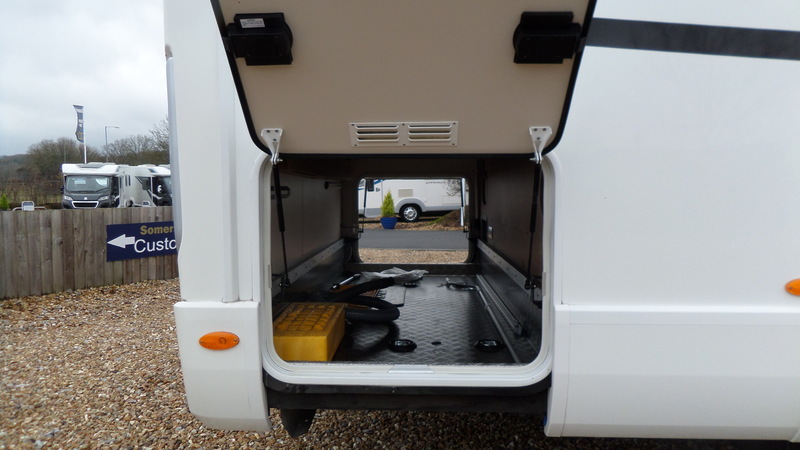 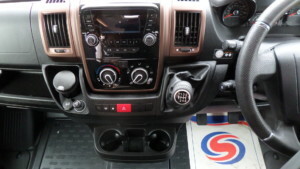 This model has several items that come as standard such as solar panel, twin reversing camera and external bbq point.